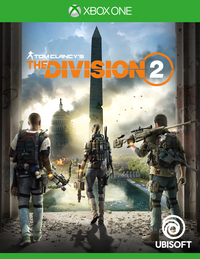 Ubisoft has released several new videos for upcoming 'online open world, action shooter RPG' Tom Clancy's The Division 2. The first video is a story trailer setting up the premise for the game following the events of the first title. The second and third videos both introduce the game's PVP elements such as Dark Zones, Rogue Statue, and Conflicts. Find the videos below. The Division 2 is set to release on March 15 for PlayStation 4, Xbox One, and PC. In case you missed it, you can find a PC version overview here.